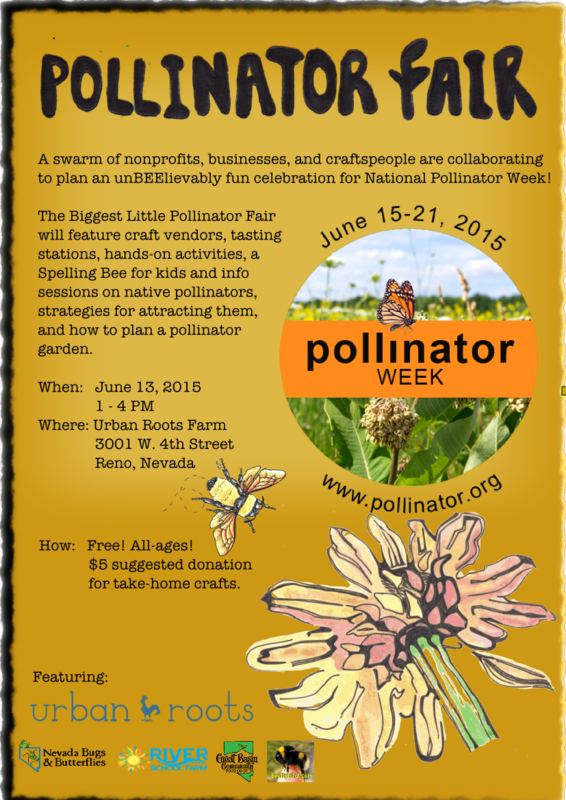 In addition to our opening day on the 18th, this next week starting June 15th marks the beginning of National Pollinator Week, and there are several great events in Reno celebrating the amazing work that native pollinators do for us every day. 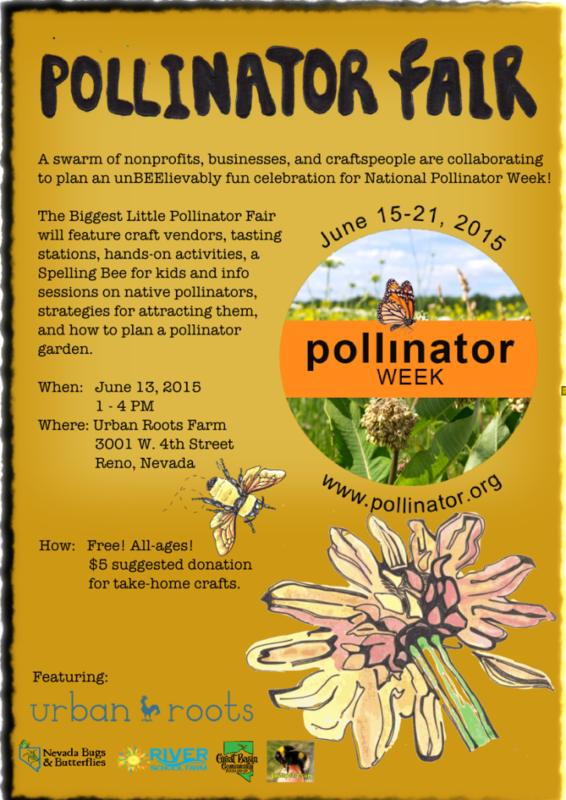 On Saturday, June 13th from 1-4, Urban Roots will be hosting a pollinator fair including hands-on activities, pollinator-product tasting stations, and a Spelling Bee, as well as info sessions on native pollinators and how to attract them. 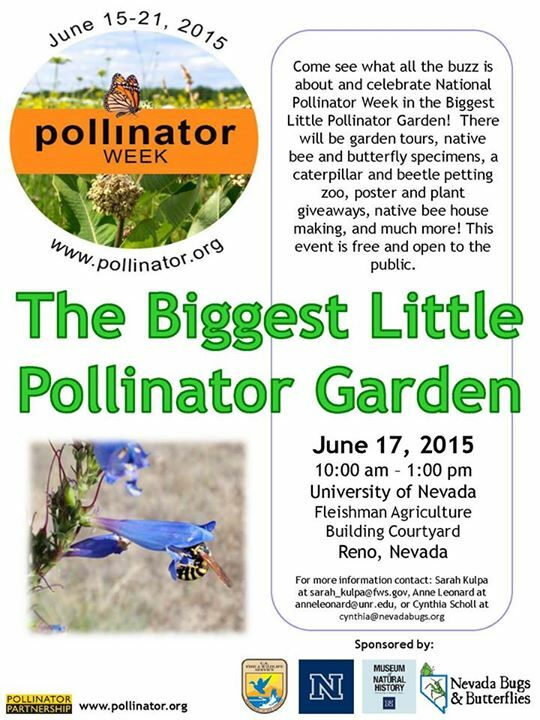 Then, on Wednesday, June 17th from 10am-1pm there’s a pollinator celebration at the south end of the UNR Campus, right outside the Natural History Museum on our brand new pollinator garden, installed with the help of the great folks at the Nevada office for the Fish & Wildlife Service. There will be garden tours, native bee and butterfly specimens, a caterpillar and beetle petting zoo, poster and plant giveaways, native bee house making, and more. Both events are free and are a great chance to learn how to support the thousands of native pollinators in the Great Basin. Hope to see many of you at one of these events, and then at our opening day on June 18th!